Due: Sunday February 26 via email time stamped by 3:00 pm. Late work (even by one second is not accepted). I suggest you turn it in early to avoid any issues. to discuss science - and to take questions from listeners during the call-in portion of the program. 1. 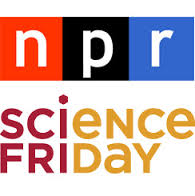 Go to the link for Science Friday (http://www.sciencefriday.com) and select any podcast of any topic. Select an Episode or segment to listen to. Segments must be at least 20 minutes in length to qualify. you will be reporting on. before you send it to me. consumes have the page. First Last Name Class is all you need. Here are some questions to guide your reflection. You do not need to address them all. a. Give a summary of the show (It should not in any way resemble the summary posted on line, I will check). b. What did you learn, how does this information effect your life, the lives of others? c. What questions do you have, what will you do with this information? d. What did you like about the show, what did you dislike about the show. of the pod cast and reflection of what you learned. After you have revised and proofread your essay create and print a wordle. (http://www.wordle.net/) . 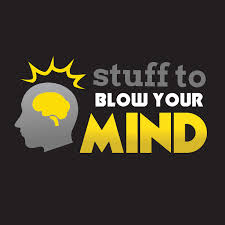 You will present your wordle to the class and give a reflection on your podcast selection. Create a 4-5 minute video diary reflecting on your podcast. Here are some questions to guide your reflection. You do not need to address them all. Selected Diaries will be shared or posted on the class page.